Welcome to Cumberwell Park Golf Club, Wiltshire’s only 45 hole Golf Club. Within this elegant, tranquil setting you will find a venue that provides the ideal location for an enjoyable golfing experience. 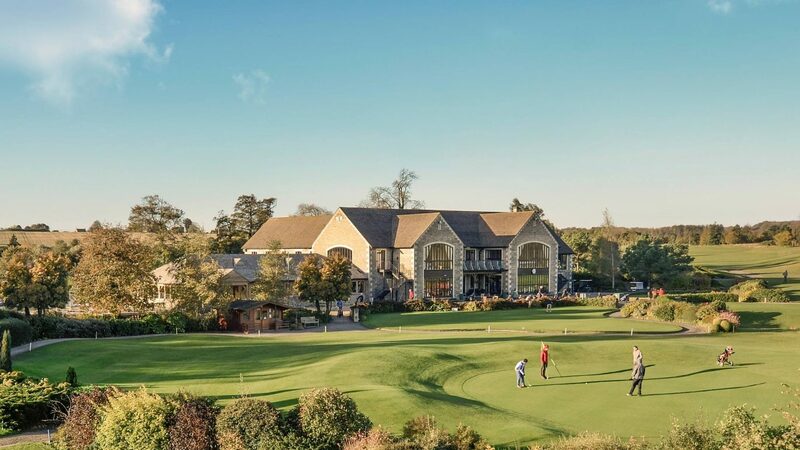 Since opening in 1994 Cumberwell Park is now established as one of the best Courses in the South West and has been awarded four stars in Golf World’s Top Courses in Britain. The Club is also an accredited Golf Mark and Club Mark Facility. The original Red and Yellow course was opened in 1994, with the Blue and Orange course following in 1999 and 2007 respectively. Each of 9 holes are unique and create different challenges for the golfer. A wide range of teeing areas mean the courses are a challenge for all abilities. The large greens provide excellent putting surfaces and the courses excel all year round in its conditioning. A wonderful blend of rolling countryside, lakes, streams, natural copse and woodland, make Cumberwell Park a stunning place to visit. All 5 of the 9 holes have clubhouse starting positions, making this an ideal venue for your corporate or society day. The natural contours of the landscape have shaped the design of the course, which covers 400 acres. The beauty and interest of Cumberwell Park is further enhanced by nine lakes, thirty-four acres of woodland and free flowing streams. Cumberwell Park is situated just off the A363, 1 mile from Bradford-on-Avon and is 5 miles from the City of Bath. Easily accessible from all parts of the South West, via junction 17 or 18 off the M4. 9 holes £20 and 18 holes £35. visitor 9 holes £26 18 holes £45. 9 holes £15 and 18 holes £25. visitor 9 holes £20 18 holes £35. Seven luxurious and spacious self catering cottages sleeping up to 24 people in total All rooms equipped with en suite facilities and all bedrooms have their own 20” flat screen LCD television with Freeview. Short Game Academy area, described as one of the best in the South West. Two putting greens. Driving range with 10 indoor covered bays and an outdoor grass area.